Every year, the holiday season presents people all around the world an opportunity to give their loved ones gifts that truly commemorate emotional journeys and lifelong relationships. But sometimes the things one really wants for Christmas just don’t exist, especially when one is a giant TV fanatic whose mental boundary between real and fictional worlds is thinner than Captain Picard’s hairline. If only there was a way to reach inside our televisions and pull out the items whose glaring absence from our lives can only be attributed to the evil Krampus. Here are ten fictitious products from the world of TV that I would love to wake up to on Christmas morning. 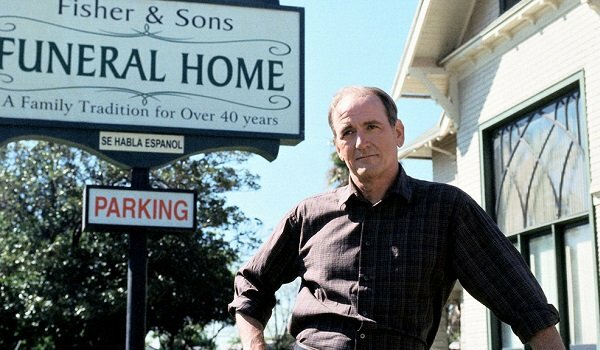 This is but a brief sampling of the enviable commodities that television writers have cooked up over the years, and I avoided putting things like “Walking Dead Carl’s head in a box” and “Rust Cohle’s 7 Effective Habits of People Who Sound Like They’re High All the Time,” because there’s already so much real-fake stuff out there. Enjoy, and have a safe and inventive holiday season. Written correctly or with Charlie’s misinformed “Mittons” spelling, It’s Always Sunny in Philadelphia’s Kitten Mittens aren’t what one would immediately think of when it comes to bar merchandise, but they’ll do more for your cats than pint glasses or neon signs ever would. And if you don’t have cats? Now you have FOUR small gloves. “Your wellcom,” says Charlie. 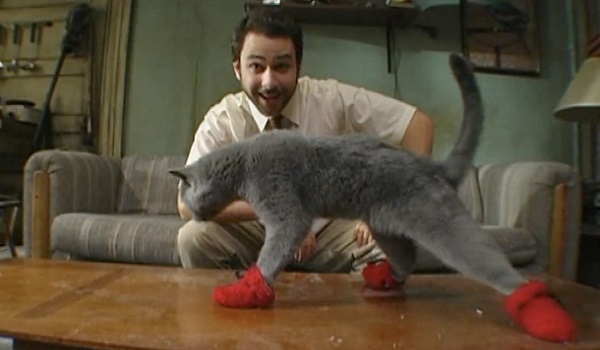 Put a DVD of the commercial with these mittens and it’s an instant bestseller. 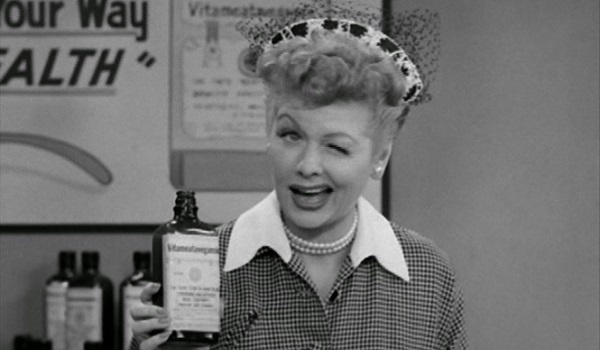 It’s been 52 years since Lucy Ricardo first gave the world this hilariously timeless bit of physical acting on I Love Lucy, and “health tonics” have become only slightly less bullshitty in nature. But no one can deny the power of Vitameatavegamin, at least in the way it can get you shitfaced in a small amount of time. Use it as a stocking stuffer or in a gift set complete with a big glass medicine cup. There are two reasons why George Bluth’s Cornballer (from Arrested Development) would be worthy of being wrapped and gifted. One: there’s no universe in which a fried cornball wouldn’t be a tasty appetizer to a big Christmas dinner. 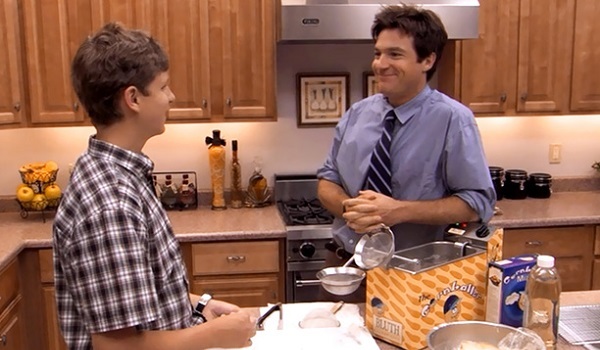 Two: it would give one the chance to prove that they, unlike Michael Bluth and many other consumers, would be able to use the device without getting serious burns. 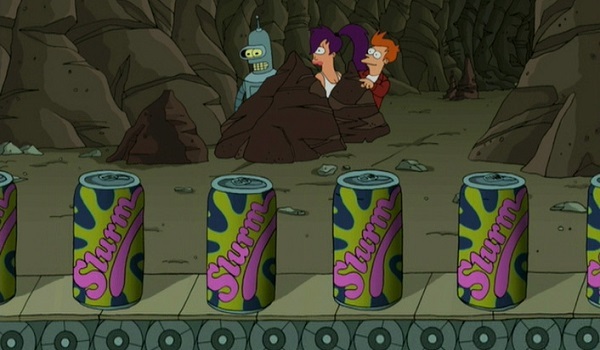 In a year that has already seen the comeback of the soft drink Surge, what today’s children and adults really need in their lives is Slurm, the highly addictive Futurama refresher with the slogan “It’s Highly Addictive!” Combine this with the Vitameatavegamin (and perhaps Hank’s Shraderbrau from Breaking Bad), and it looks like I might have substance abuse problems during the holidays. But don’t worry, it lasts all year long. Slurm! As 30 Rock’s movie-and-TV star Tracy Jordan, Tracy Morgan got to live out a lot of surreal and boastful ignorance over the years, evidenced best by his run of ridiculous feature films, usually alluded to in posters and clips. Tell me that pairing Samurai I am Awry or President Homeboy with A Christmas Story is a bad idea, and I’ll show you a honky grandma that be trippin’. Maybe this is going to be the last Christmas for someone you know, and you want to make sure that person exits this mortal coil in true style. Sure, you might have to order it by catalog if you can’t make it to Fisher and Sons’ interactive retail experience, but it’s a gift that lasts forever. And if that’s all a bit too dark for your holiday spirits, just think about Nate trying to order a Chubby double cheeseburger. At this point in my life, I’m admittedly drinking coffee far more often at my computer desk than anywhere else in my home, and I haven’t had a coffee table since I was a child. But this Seinfeld creation is still the perfect solution for people who like me who want to mix their caffeine and furniture with their reading material. 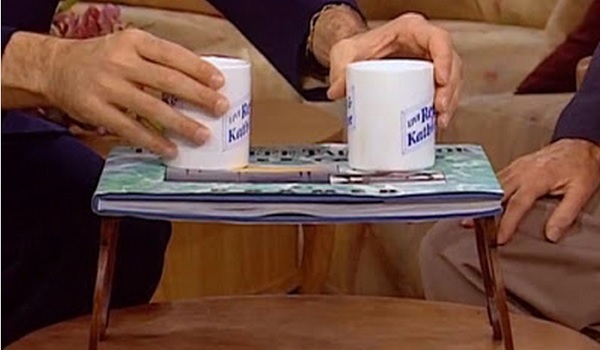 No one needs Michael Richards advertising it on morning TV however. 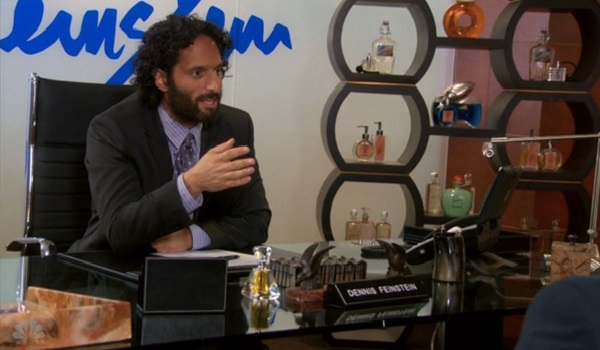 Jason Mantzoukas delivered his usual brand of hysterical vileness to Parks and Recreation as the fragrance mogul Dennis Feinstein. We all know that perfumes and colognes are go-to gifts during the Christmas season, so how great it would be to give our loved ones such sought-after scents as Allergic for Men, Blood Spurt, Thickening, the ether-based Blackout and, of course, Sideboob. Everybody wants Sideboob in their hands on Christmas morning. Don’t panic! 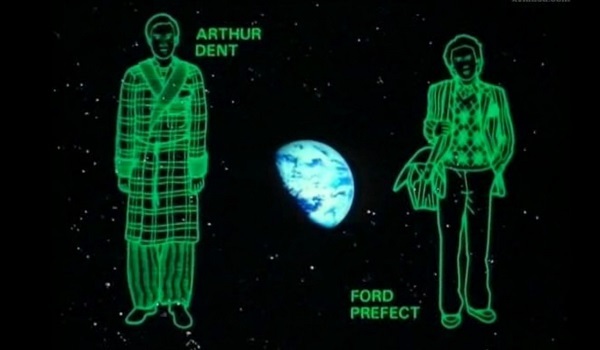 Before tablets and smartphones gave us gorgeously rendered handheld devices to help us in our daily lives, there was the witty and all-knowing Hitchhiker’s Guide to the Galaxy from the 1981 series based on Douglas Adams’ stellar sci-fi comedy novels. Not only did it look like a next-generation Atari version of Wikipedia, but it also had the voice of celebrated actor and broadcaster Peter Jones telling you what was up. The perfect complement to all towels. 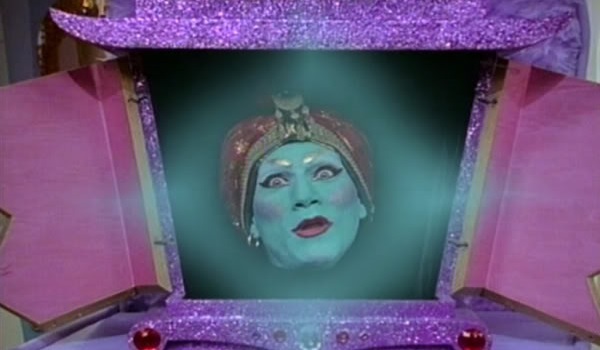 I guess in order for this gift to work, someone would have to actually go into Pee-Wee’s Playhouse and steal Jambi’s box. But then I could just wish for the crime to go unnoticed, and one “Mecca lecca hi, mecca hiney ho” later, we’d all be in the clear. In fact, I could just wish for the rest of the items on this list with no problem. Screw it. Somebody get me Jambi, and I promise to share him on the weekends.